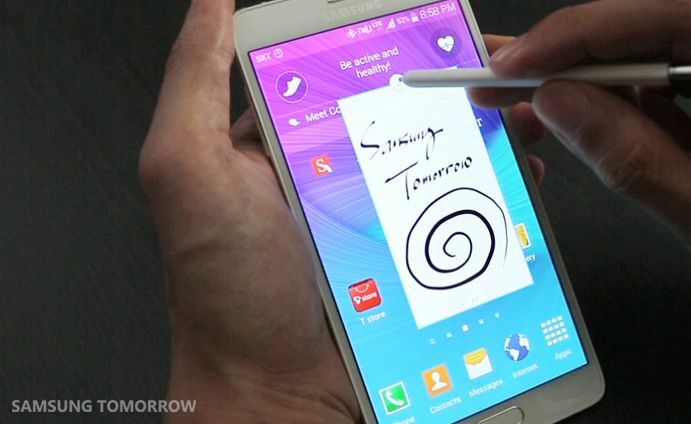 Galaxy Note 4 Hands-on = Are you ‘Note’ entertained ? Is this not why you’re here?! 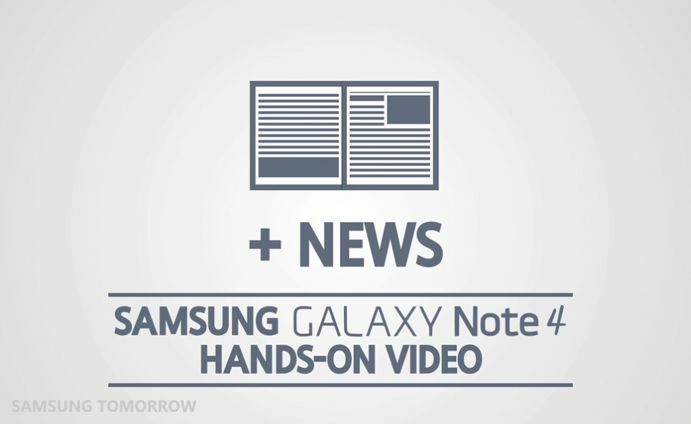 If you thought we were just going to unbox the Galaxy Note 4 and leave it at that, you overestimated our restraint. 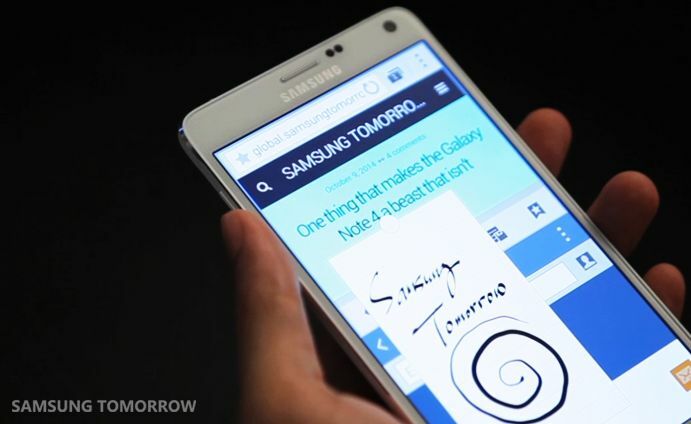 Of course, we are going to play with the Galaxy Note 4 to see if it is really maximus! 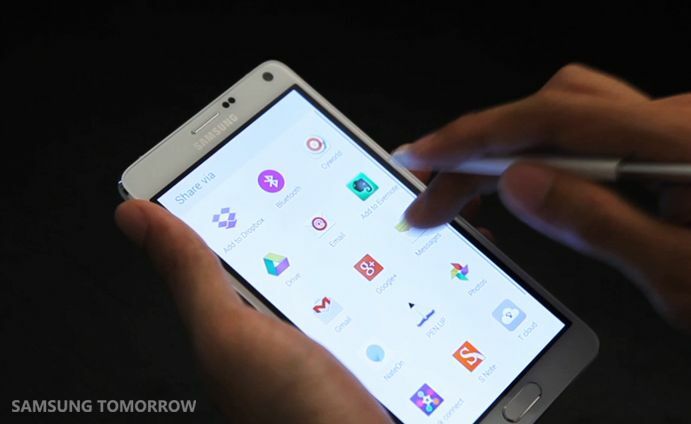 While we were at it, we decided take a hands-on video of the Galaxy Note 4, so you have a chance to get cozy with it before it is on the shelves in all 140 countries. Here is how it went. 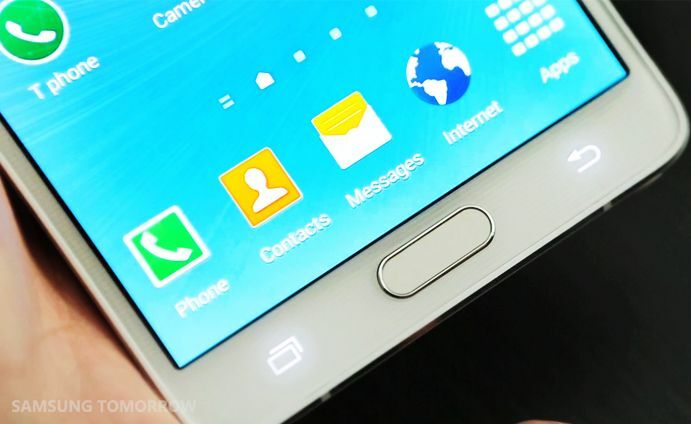 If you are familiar with the Galaxy series, you might have noticed that the design of Galaxy Note 4 is consistent with the design identity of its predecessors. 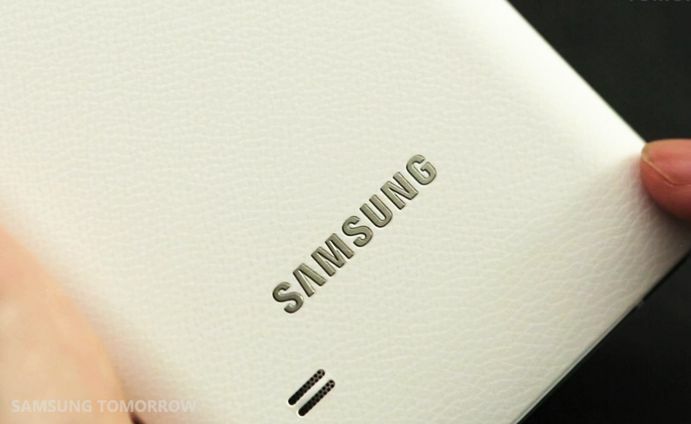 After all, this device is the 4th generation of one of Samsung’s flagship models – staying true to our history was important. 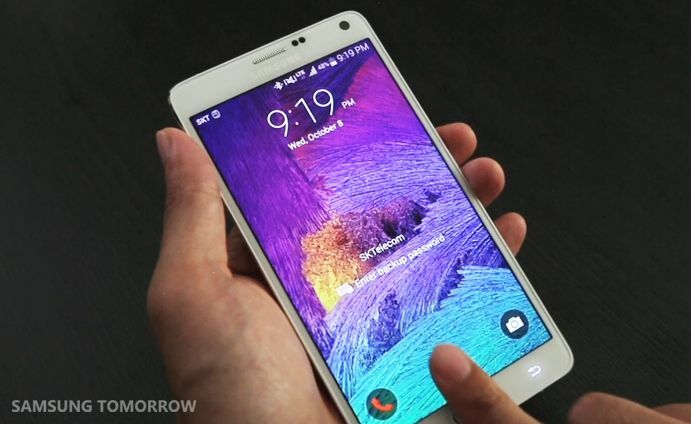 Obviously, it is hard to take your eyes off of the 5.7-inch Quad HD Super AMOLED display, which is four times the resolution of HD (2560×1440 pixels). Once you turn it on, you will notice the superior display quality. 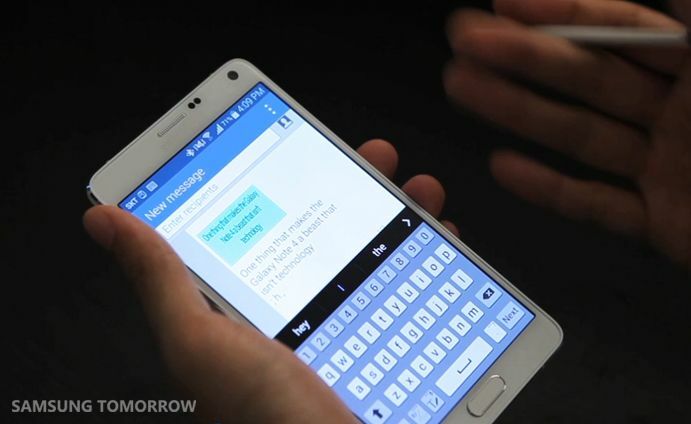 The display of the Galaxy Note 4 is also 2.5D glass, which means it’s clearer and brighter. 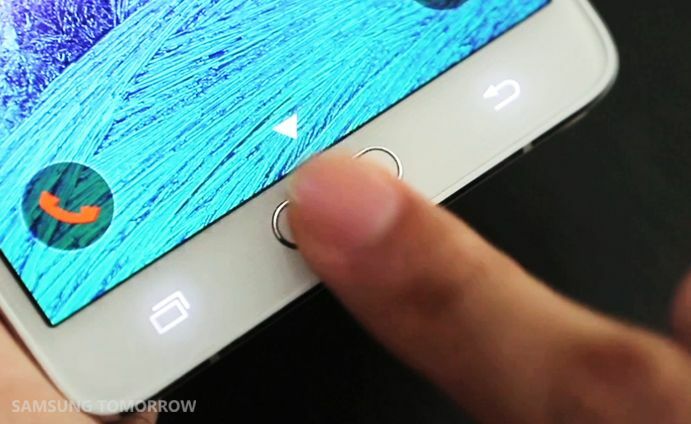 The home button has a Finger Scanner for better security, if you wish to use it. Or if you are not a fan of memorizing passwords or patterns, this can come handy. 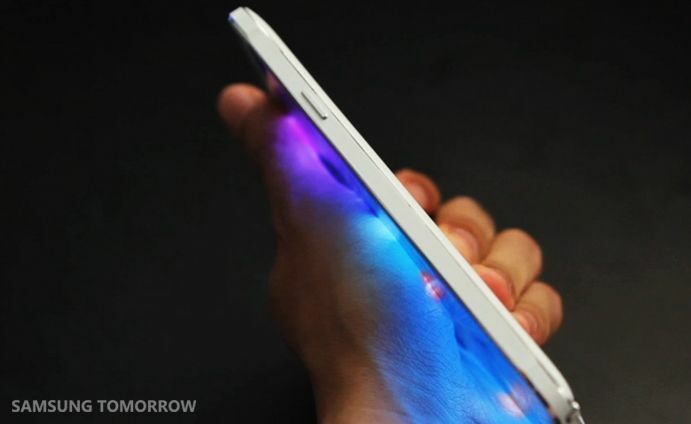 On the front, you can see all the basic components of a smartphone, such as the front camera, RGB ambient light, proximity, and gesture sensors, and speaker. 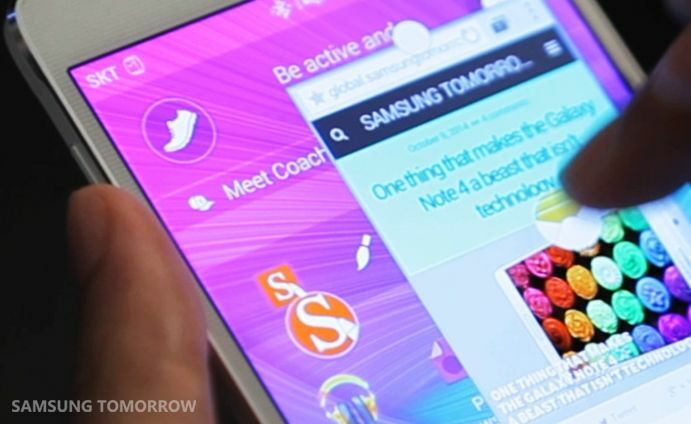 The frame on the side may seem different from previous Galaxy Note devices. Two words: Metal Frame. 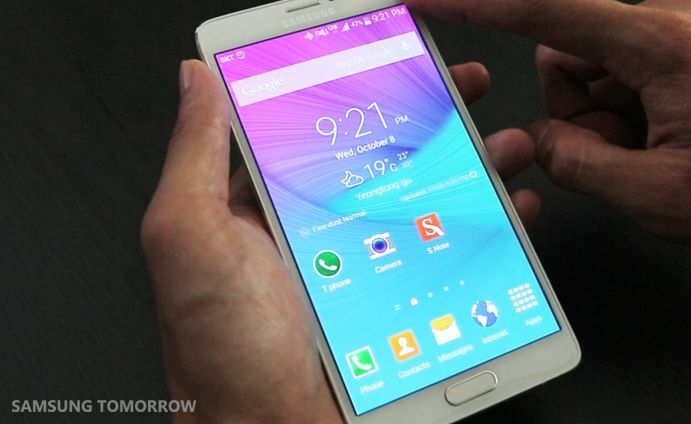 That’s right; the Galaxy Note 4 features a metal frame like the Galaxy Alpha. Note that. The power button is on the right side. IR LED, 3.5mm standard earphone jack, and mic are on top. A volume rocker control is on the left side. 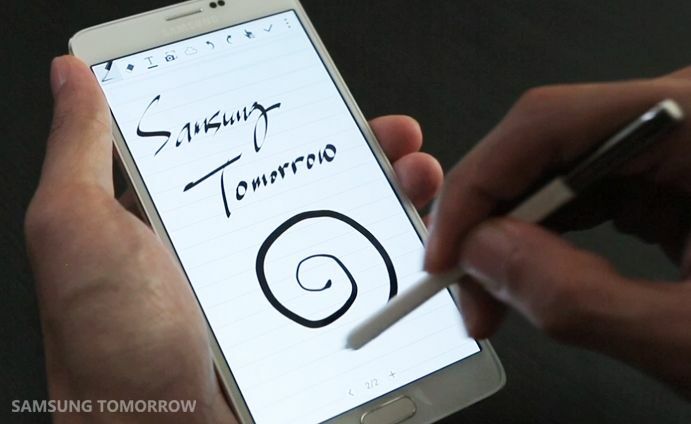 The elegantly curved bottom houses 2 mics, a micro USB port and… the S Pen! Now, if you flip the Galaxy Note 4 over, you may have noticed that there is no more stitch pattern, which its predecessor had. 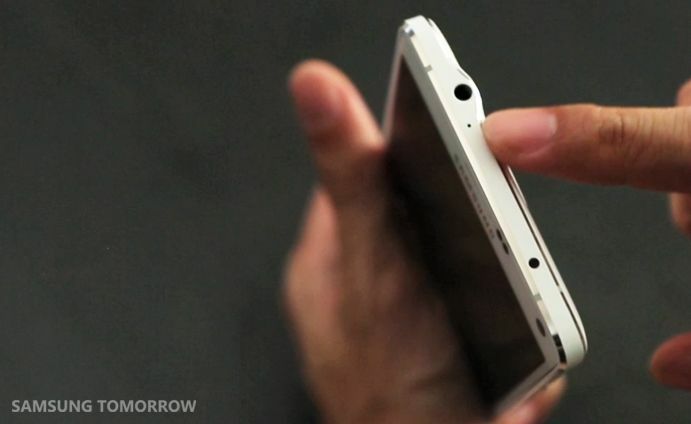 The speaker, rear camera, flash, UV and HRM sensors are located on the back as well. 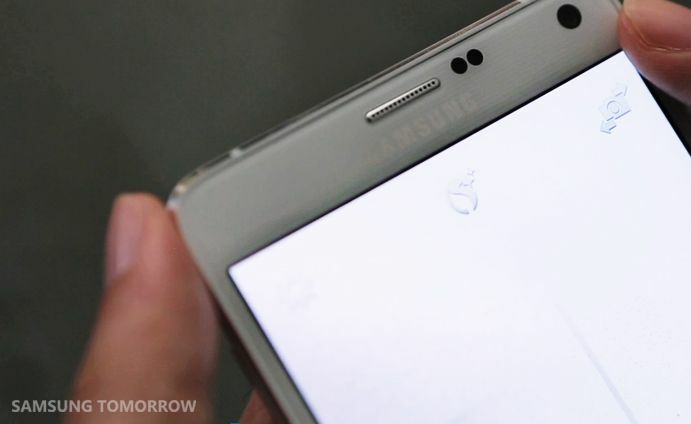 Speaking of sensors, the Galaxy Note 4 features accelerometer, a gyroscope, a geo-magnetic sensor, barometer, and hall sensor hidden inside the body. 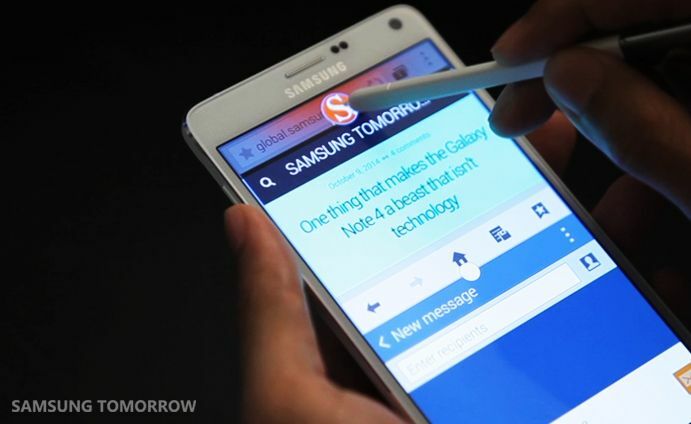 Since we are talking about Galaxy Note series, we have to talk about the S Pen. 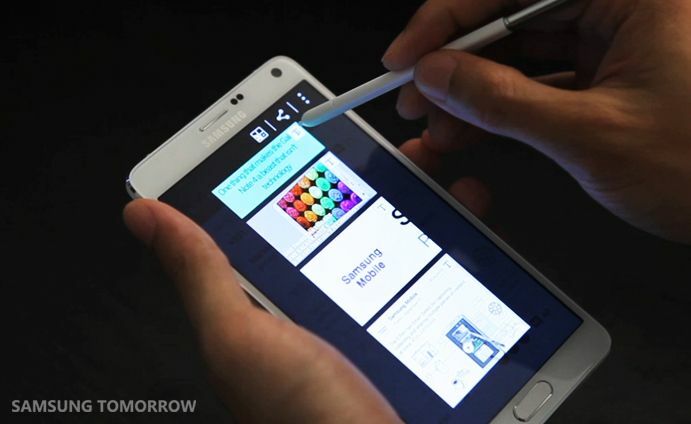 It is what sets Galaxy Note 4 apart from other phablets. As you might have heard, the sensitivity has been doubled from 1,024 levels to 2,048. 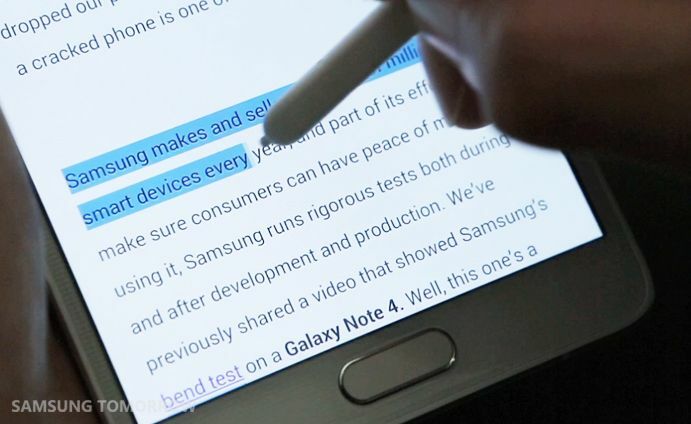 This enhanced sensitivity of the S Pen can distinguish the slightest nuances in writing and press sensitivity. 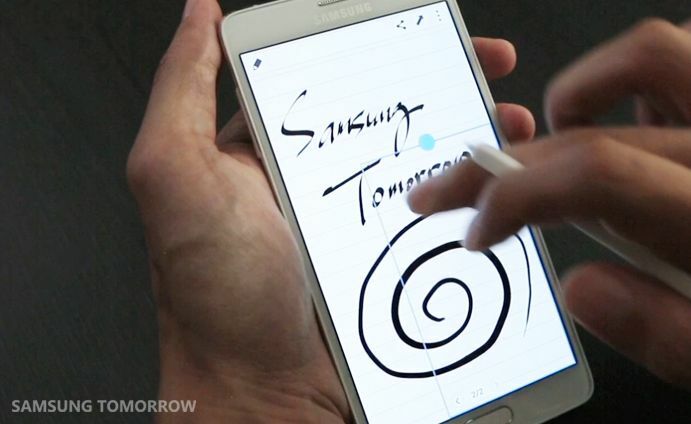 The new S Pen drastically improves the overall experience. You have to try this out to really feel the smoothness. 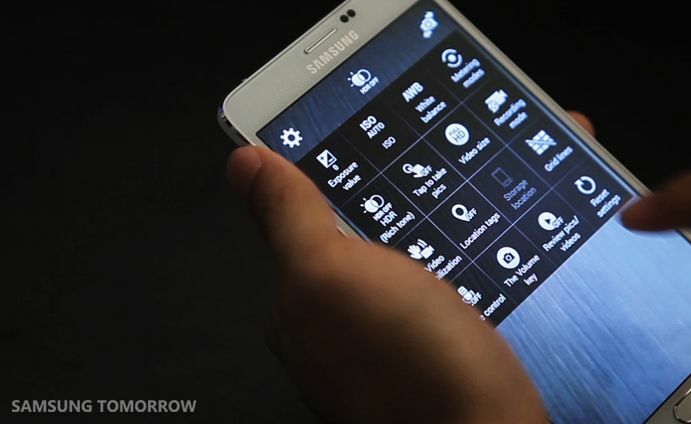 Also, some of the S Pen button gestures are highlighted. 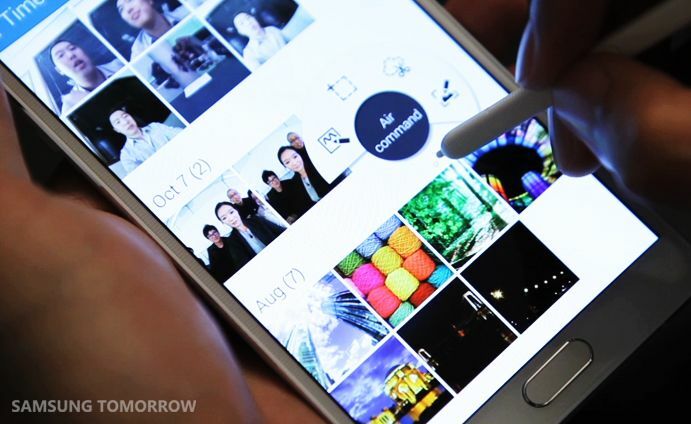 For example, on the in-apps like Gallery or My Files, you can just drag and select the files you want with the S Pen button pressed. You can also drag and highlight text, just like the mouse does on a PC. 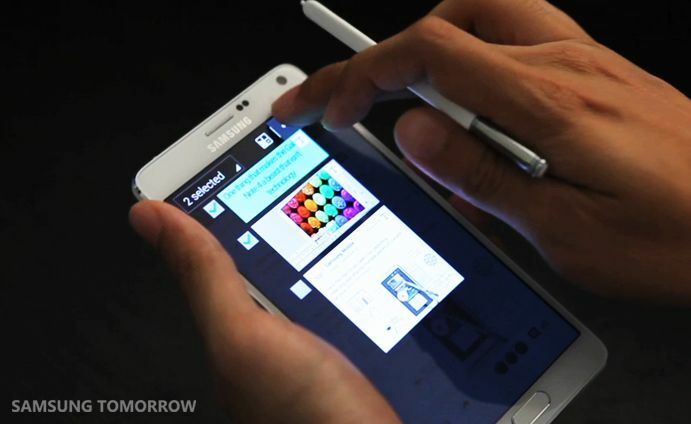 You can already imagine that this will increase productivity and usability of the large screen like no other. 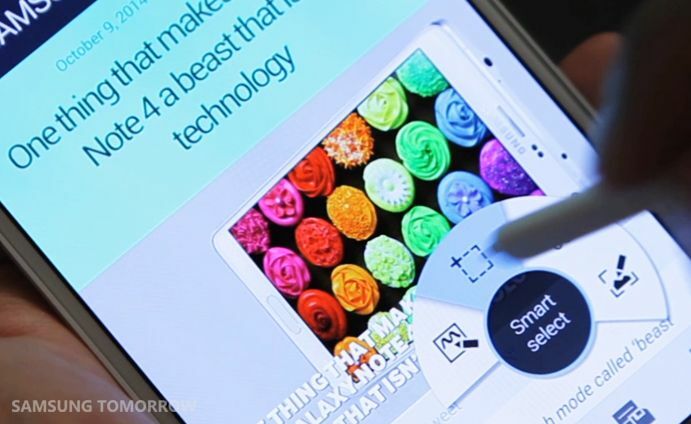 Now, to one of the coolest features of the S Pen, the “Smart select” feature. With this feature, there is no need to copy and paste the text or images one at a time; do it all at once. By using Smart Select, the content will be clipped temporarily for you to share easily whenever and wherever you want. This is how you do it. 2. 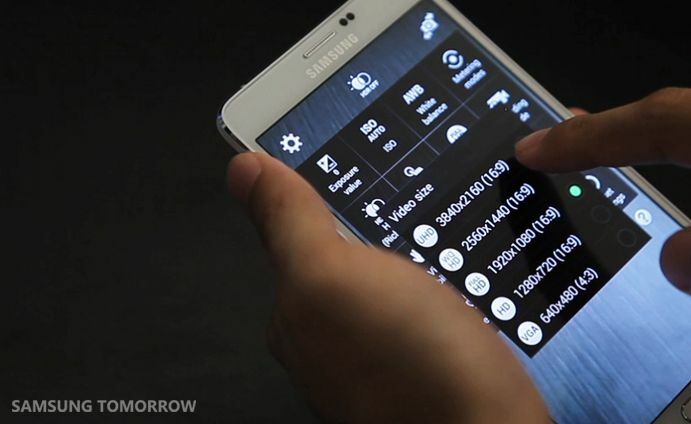 You can choose whatever’s on the screen, and you can also go through different apps to collect different items. 3. The items you’ve collected will be temporarily stored together. 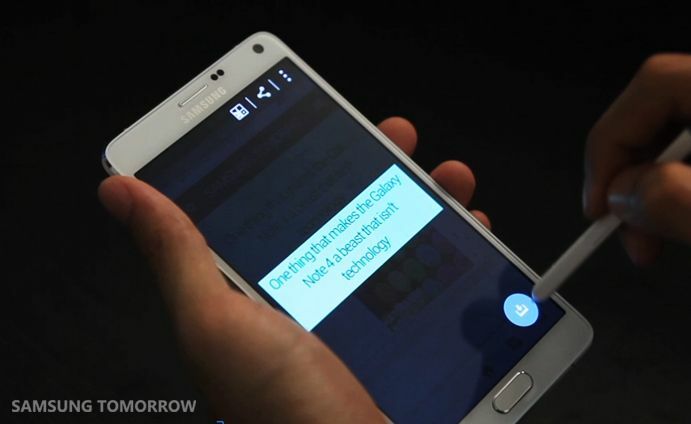 Text is automatically detected and extractable. 3. Share them on messenger apps, send emails, etc. 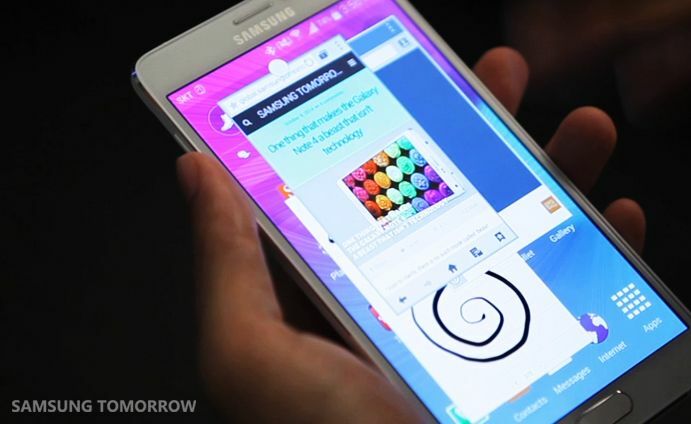 What is the use of the big screen if you cannot multitask with it? 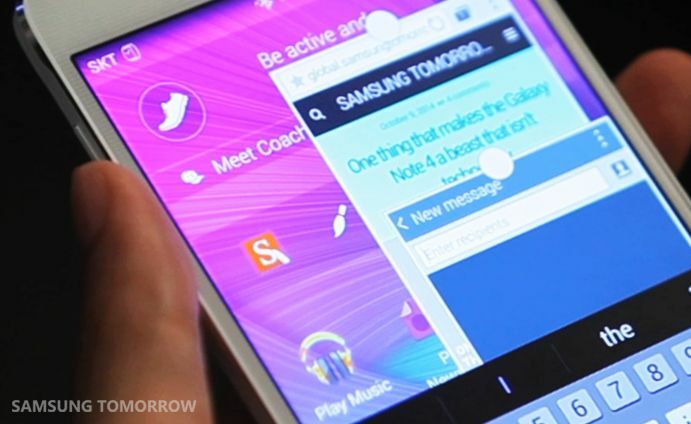 By the way, going back and forth through apps that are running but not seen isn’t really multitasking. 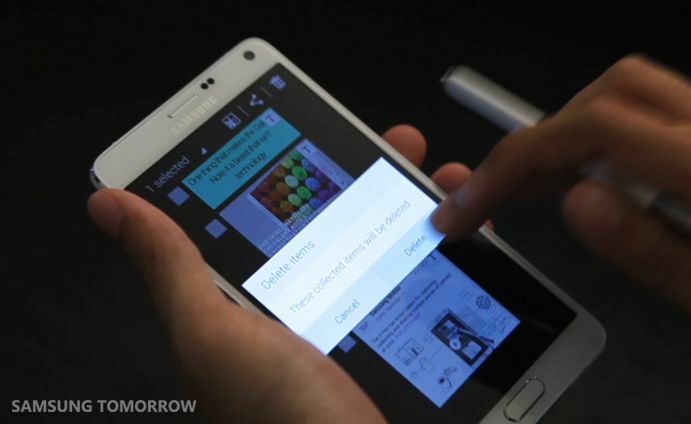 This is how the new Multi Window of the Galaxy Note 4 lets you multitask. While running an app, just drag down a corner to re-size it into a Pop up. You can resize it, place it anywhere and it will stay. 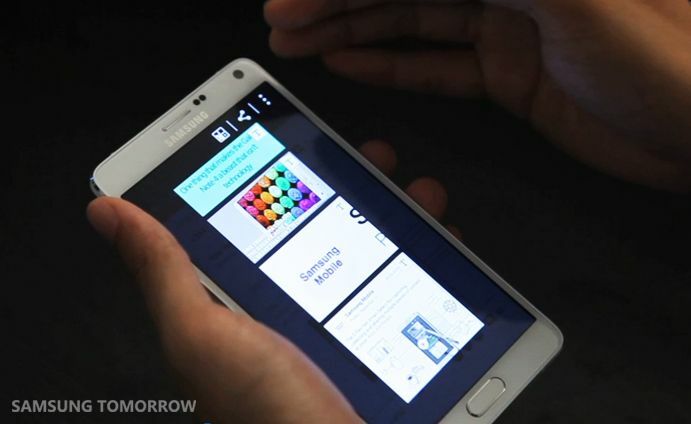 You can also bring recently used apps onto the screen as a popup window. If even this is too big, touch the circle on top and reduce it to a floating Icon. Tap to bring it back. You can also just turn it off. You can choose to run your app on Full View by taking the center bar to the top, or dock a second app there and use it in split-screen. Of course, you can hold the back button to call up your Multi Window drawer and drag your second app into Split View, like you used to on previous Galaxy devices. 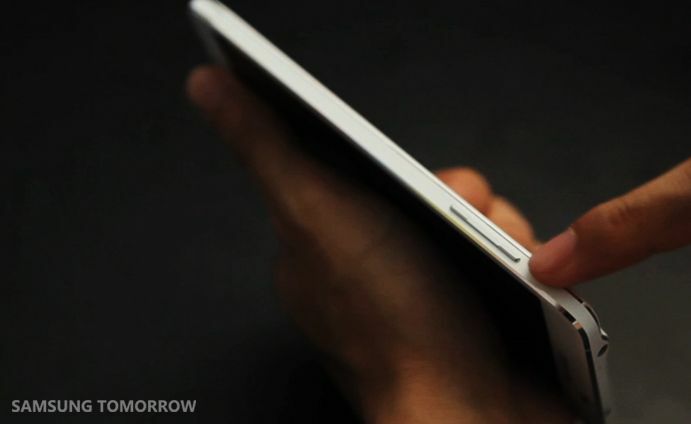 Easily drag and drop while you go between the tasks that need to be done simultaneously. Yes, you can also go back and forth through apps, but sometimes you just need to use them at the same time. The New Multi Window does that for you. 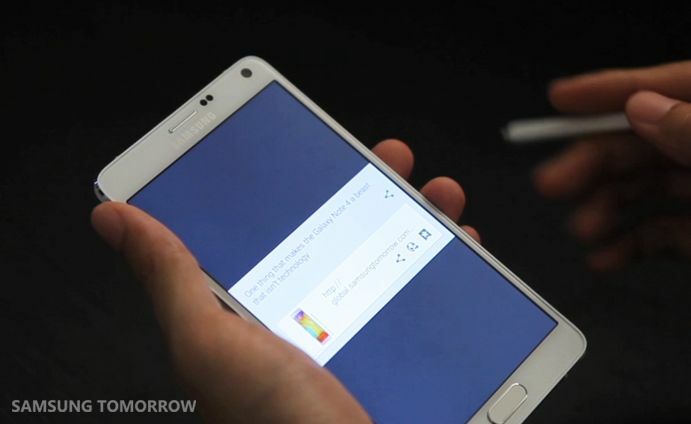 With the Galaxy Note 4, battery life will rarely be an issue. 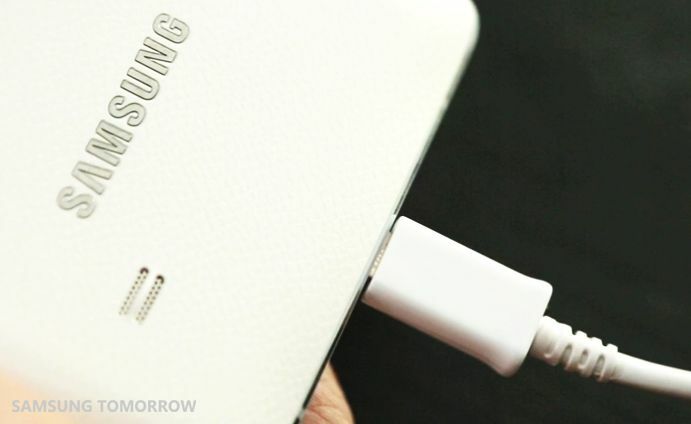 Samsung not only upped the battery capacity to 3220mAh, but we also introduced Fast Charge to Galaxy Note 4. It charges about 30% faster. 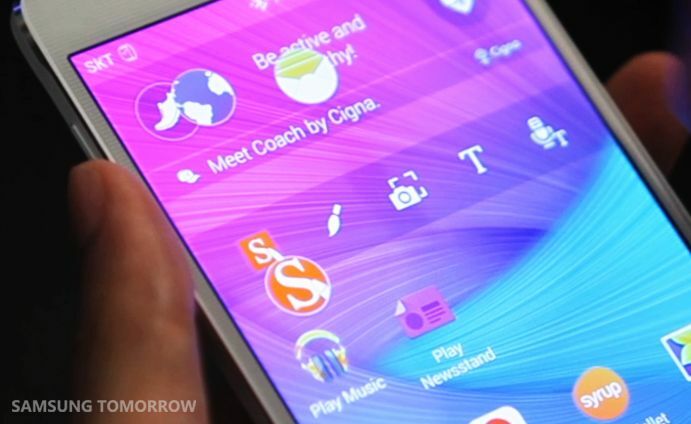 Also, if you’re running low despite the Fast Charge, you can turn to Ultra Saving Mode; a smash hit with Galaxy S5. It shuts down operations except for the absolutely necessary ones, which you can customize to an extent, and shows you how long you have left. Remember the days before smartphones, when cellphone batteries used to last days? Well, it’s sort of like that. 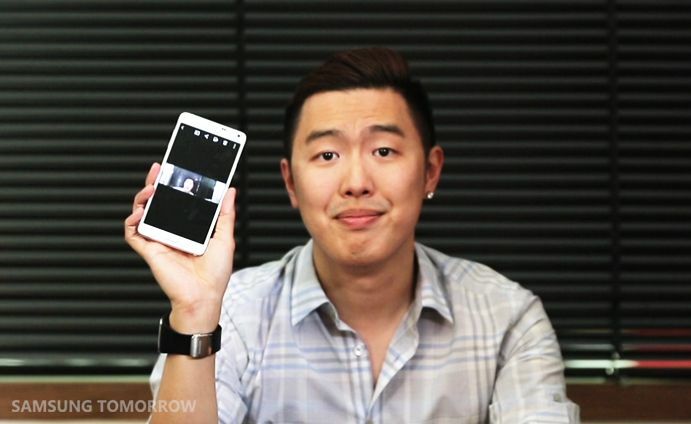 Now, let’s go over one of the most important features of smartphones these days, the camera. First, the front camera. Tired of blurry or relatively lower quality selfies? Thought so. 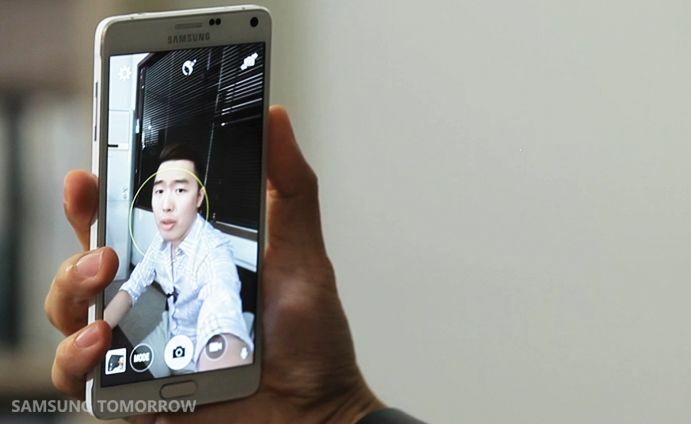 Galaxy Note 4 features a 3.7 MP front-facing camera with a brighter F1.9 lens for brighter, more visible captures. 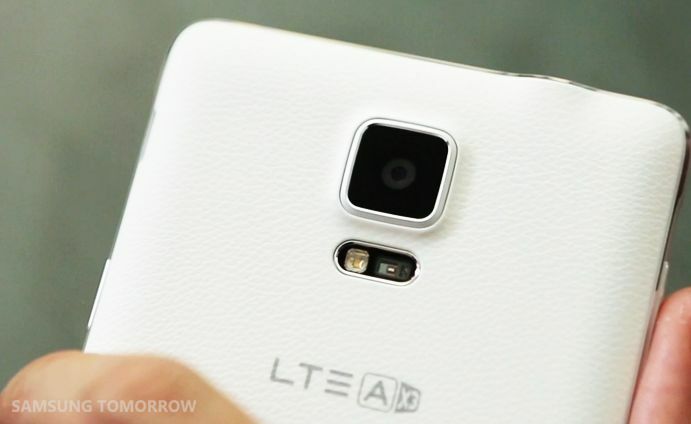 This will receive 60% more light than a same camera with a F2.4 lens. There is no more need to suffer sore arms from stretching your arm to an impossible length just to get everyone in the selfie. The front-facing camera’s angle has been improved to 90 degrees from the previous 77. 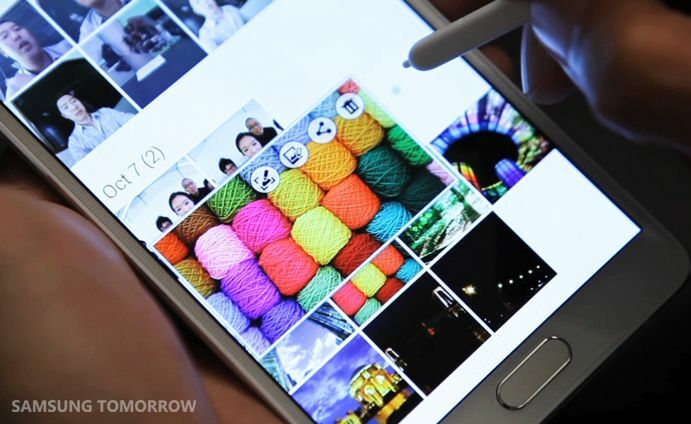 Or you can just use the new feature called the ‘Wide Selfie’, which is like a Panorama mode for selfies. Yes, we said panorama selfie! That isn’t all! You might already know about virtual shutter button or a timer. Did you know that you could use the heartbeat sensor or use your voice to trigger a shot? 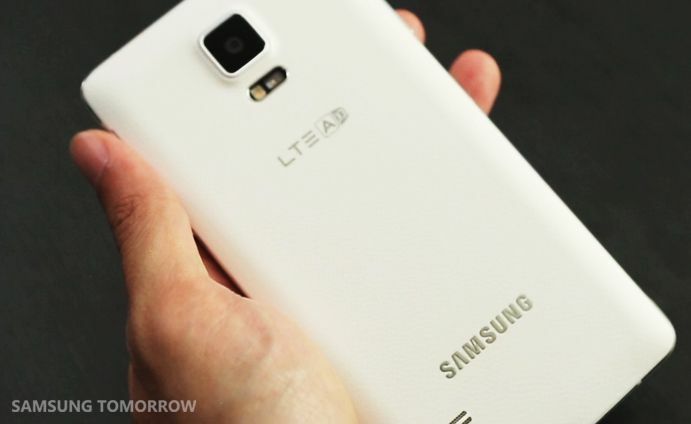 You no more need to worry about shaking the phone camera on your already outstretched and shaking arm. On the back, the 16MP rear camera now features Smart Optical Image Stabilization, or OIS, to reduce dark and blurry pictures or shaky videos. You can also record video in Ultra High Definition (UHD) so you can play it back crystal clear and in full glory on your UHD TV. UHD, that’s 3840 x 2160! 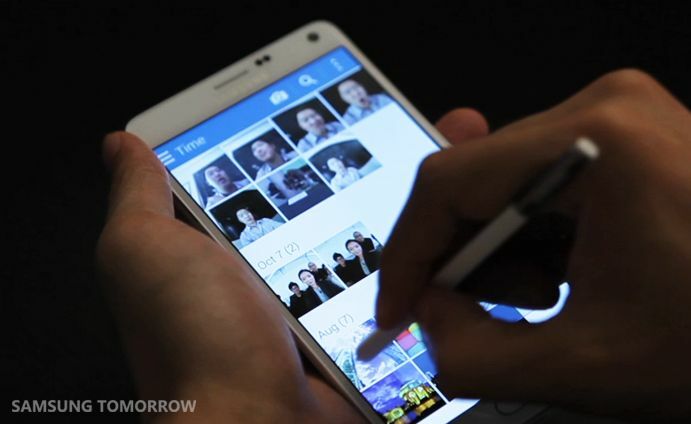 Don’t you already want to just go out and take some pictures with the Galaxy Note 4? So, are you not entertained? 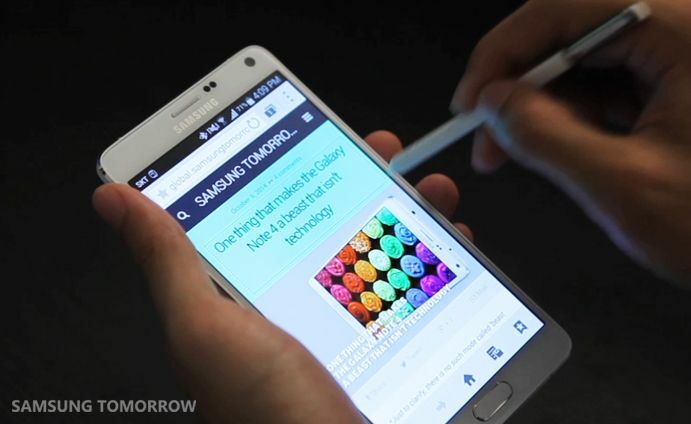 That was our hands-on of the Galaxy Note 4. 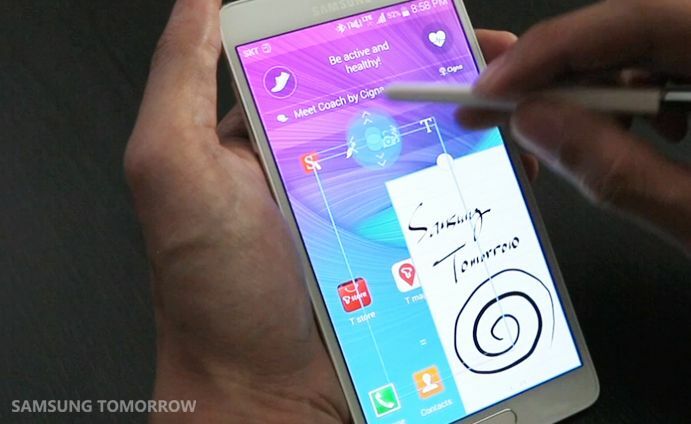 We definitely enjoyed playing around with the Galaxy Note 4. How could we not? What do you think? Will you enjoy it as much as we did as well? Let us know in the comments below.